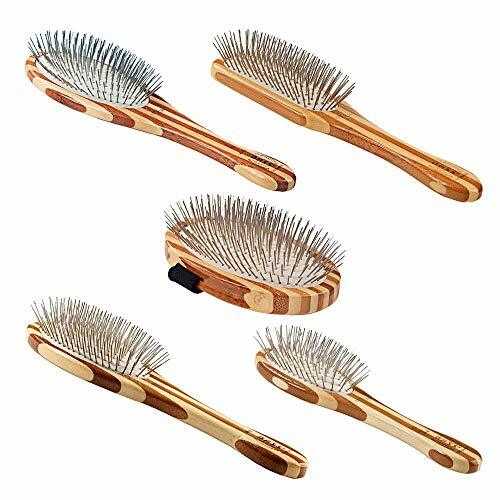 BASS has created a truly innovative series of animal grooming brushes. The metal pin tufts gently yet thoroughly detangle the coat, remove large particles, and provide a gentle massage effect. The final result is a clean, healthy, and luxurious coat that other brushes simply cannot provide. The wood is made from 100% bamboo -- one of the most sustainable resources and environmentally sounds plants on Earth. Due to its rapid regrowth cycle and 25% higher yield than timber, it can be harvested with virtually no impact on the environment!